Do you think that he is Nicholas’ son? It seems unlikely because to easy and in my opinion, Ethan is not Opal’s son but Dahlia’s one. This is only my opinion and it will be very interesting if Dahlia had a secret son, right? I don’t know if Nicholas really loves Marisol or if he has a secret agenda but it seems that the things between the two is working right now even if he is lying about Ethan. And what about the message that Marisol found in the closet? Why Dahlia needed to throw out Opal from the house? Is she dangerous? Is she evil? I don’t think so, she’s only creepy but not dangerous. And, in the end, what about Dahlia? Do you think she really died? I don’t think so, I think that she will appear in the future, maybe Opal is hiding her in some ways, who knows? 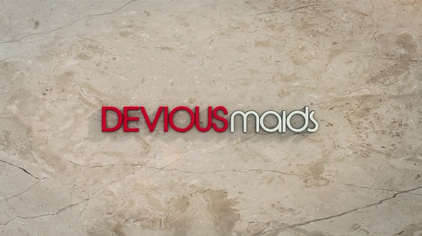 In the end, I really would like to say thank you to Marc Cherry because this second season of Devious Maids is much better than the first one and because Opal is a great new character, like Evelyn who is the best in this series. Without her the show wouldn’t be the same, thanks Rebecca to portray Evelyn so well, I would like to work to her in a second life.